There has been much discussion around the outcomes of elections and referenda in 2016, the possible impacts upon research, and the shape of future funding schemes. The research community in one form or another will remain global and certainly the School and University have committed to minimising the impacts of any changes upon research staff… we remain as someone said “open for business as usual”. 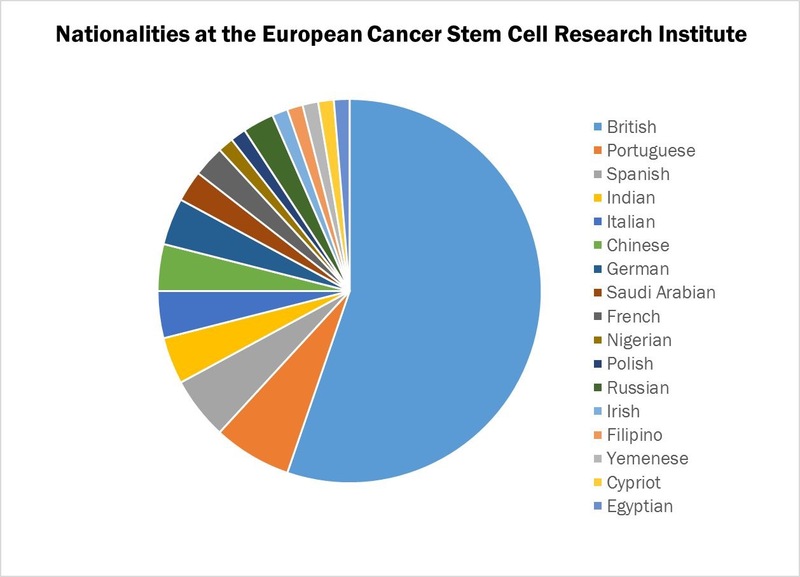 As an example of the variety within the School of Biosciences, I recently saw this graphic from the European Cancer Stem Cell Research Institute, giving a strong flavour of the make-up of a research lab community that I am sure is not particular to Cardiff. The following opinion piece is a considered and personal view of recent events in the United Kingdom and European Union from the view point of an E.U. student. Whilst at the time of writing the U.K. is very much ‘business as usual’ Attilio sets out his concerns and sees the lessons from other referenda within Europe as cautionary. This story begins in a country renowned for its long-standing democratic tradition and quintessential isolationistic leanings. Yes, you’ve guessed it: I am talking about Switzerland. The Swiss people’s party — a national-conservative political party — has promoted a referendum named “Against mass immigration”, which aims to restrict immigration through quotas and allocate jobs preferentially to Swiss over foreigners. The proposal has eventually been approved on a tiny majority, with the rural region being mostly favourable, and the larger cities against. Following the referendum, the Federal Council became legally unable to sign a free movement of people accord with Croatia, which had recently joined the EU. Matter of weeks, and the status of Switzerland in Horizon 2020 (the current framework programme through which research is supported by the European Union) was downgraded from “associated country” to “third country”, as well as excluded from the Erasmus+ programme. All of a sudden, Swiss universities and companies could not compete anymore for European funding, including the prestigious European Research Council (ERC) grants and Marie Skłodowska-Curie actions (MSCAs). 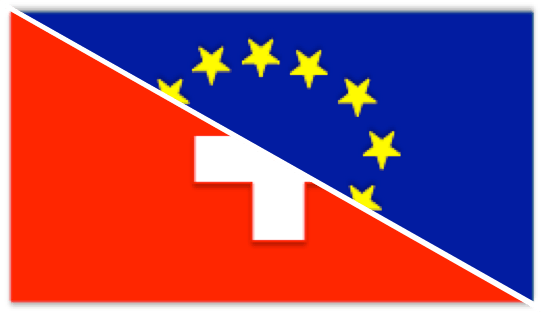 After a vast mobilisation from the Swiss academic and research community, and as long as the referendum results were not put into effect, Switzerland managed to negotiate with the EU the status of “Temporarily associated country” until the end of 2016. After this deadline, the association to Horizon 2020 is unlikely to be renewed unless Switzerland accepts the free movement of people (thus overcoming the will expressed by the people in the referendum). These events occurred in winter 2014, when some of the readers of this blog may have seen me for the first time, as in the meantime I had just moved from Rome to Cardiff. Straight after completing my master degree in Physics at Sapienza University, I was going to start a PhD in Cardiff University, funded by a MSCA. The Research Group I am part of — named Quantum Optoelectronics & Biophotonics — is split between the School of Physics and Biosciences, and so is my project, supervised by Paola Borri (BIOSI) and Wolfgang Langbein (PHYSX). This is because we work on the development of new optical microscopy techniques, many of which can be applied to biological research. Seemingly, as all roads lead to Rome, by taking some of them backwards, a physicist might end up having a PhD in Biosciences! While writing this post, I realised most figures concerning European budgeting are rather hard to find in the official websites, hidden in evidence within a Kafkaesque labyrinth of obscure reports, self-contradicting charts and inventive acronyms. More precisely, the money each country receives from the EU is always quoted on top, in bold; on the other hand, the money each country gives to the EU is seemingly a classified information. I guess they are so trying to impede people from doing the simple math: Countries having a research system less developed and in desperate need of funding contribute their share to the European budget, but are not competitive enough to get back most of it. The Italian saying goes: “It always rains on wet soils”; let us then see how this applies to the rainy country par excellence. After an epic struggle, Big G was compassionate enough to present me with a clear and detailed report issued by the Royal Society on The role of the EU in funding UK research. Not to spoil the pleasure of reading it, I will limit myself to a single fact: Under the FP7, UK has contributed to EU research programmes (including MSCAs, ERC grants, SMEs, Erasmus+, etc.) with 5.4 billion euros, and received back 8.8 billion. Translated from the proto-elamitic jargon adopted by the European commission into the more televised million-to-Brussels algebra, during the period 2007-2013 the British public has received clean 3400 million from Brussels just for research purposes. Even more notably, over the same period the UK has been by far the top performer in EU, securing for itself 1,665 million in ERC grants and 1,086 million in MSCAs, which amounts to almost one quarter of the total budget of the respective programmes. For MSCAs, these figures can be compared to the mere 281 million obtained by Italy (a country with a comparable GDP) or — to much more surprise of mine — to the 564 million landed into Germany (source). Two and a half years have now elapsed since the day I sorely realised that no, my favourite brands of spaghetti were not sold in Lidl. My PhD will soon come to an end, as well as —alas! —my European funding. Going to the country which has attracted most fellows overall (UK), with the most common type of action (ITN), and coming from the country whence most fellows going to the UK come from (Italy), I have been, so to say, the modal Marie Curie fellow. Am I also the last of Mohicans? What the Swiss parable teaches us, is that UK will unlikely be allowed to have the cake and eat it. In order to be included as an associate country into Horizon 2020, the EU will require us to accept the free movement of people, at least to some extent. In view of the data reported above, I reckon it is the interest of the whole UK research community to lobby hard in this sense, and to persuade both the politicians and the public that, as we leave, we should leave everything as is. 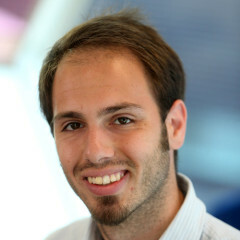 Attilio Zilli is a Marie Curie Early Stage Researcher within the School of Biosciences.